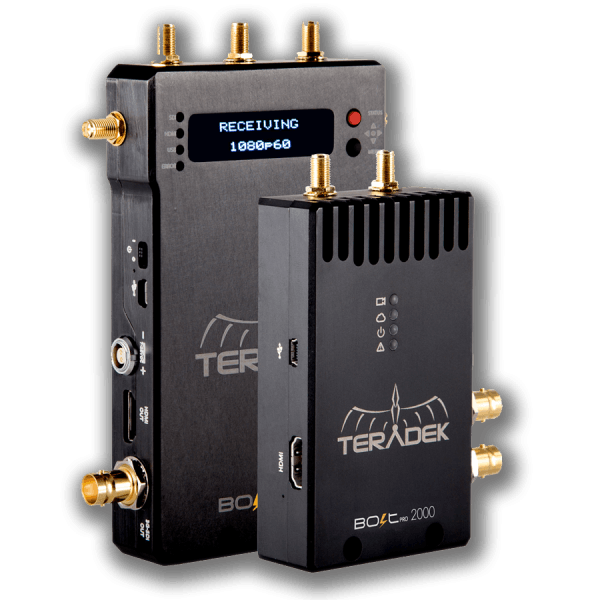 Hire Teradek Bolt 2000 wireless monitoring kits for professional productions. 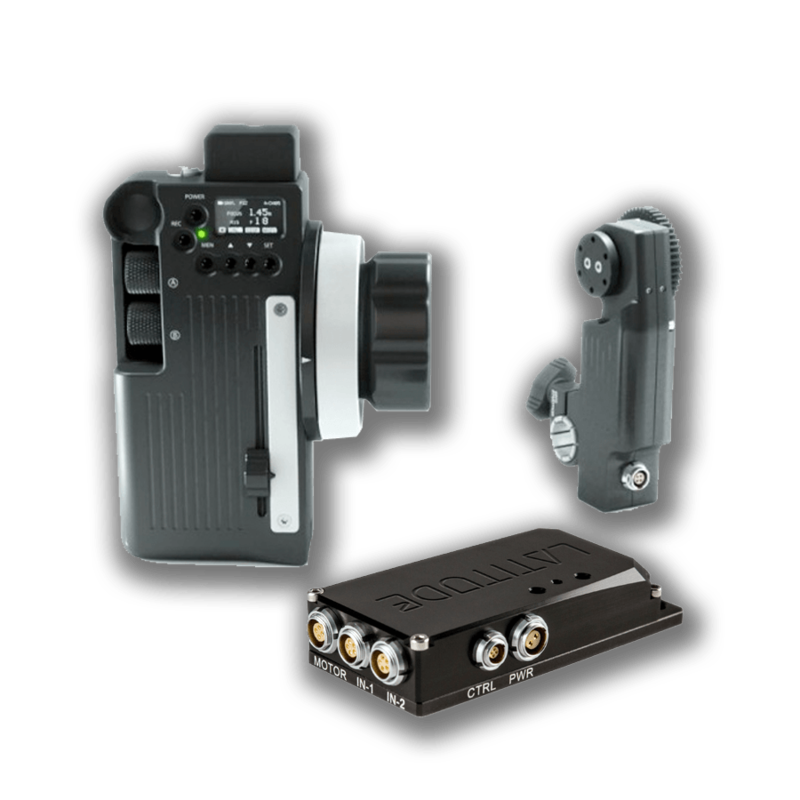 RT Motion MK3.1 wireless follow focus kits available for hire in 1 and 2 motor configurations. 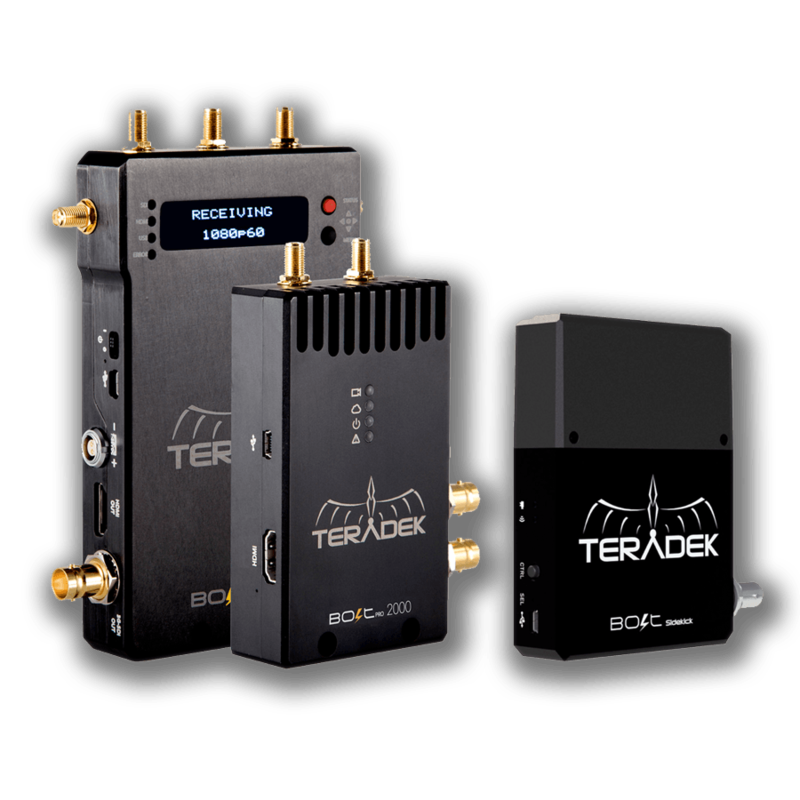 We cater for custom wireless shooting configurations – contact us to discuss your production requirements. For silky smooth and sharp wireless focus pulling over long ranges. 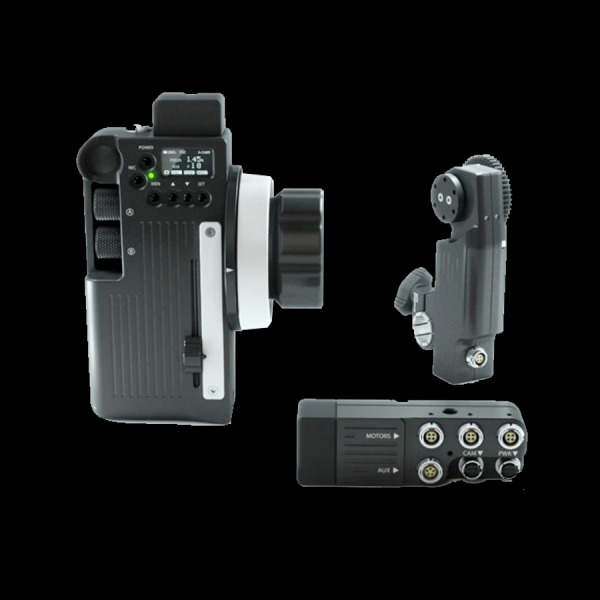 Ideal for demanding gimbal/stedicam production scenarios and advanced aerial drone cinematography. Cinema-grade system for direct control of Canon EF and Nikon Lenses on RED Digital Cinema cameras without the need for external Lens Motors. Control shutter, ISO and button-features (1:1, peaking) with the RT Motion Controller MK3.1. Control Focus/Iris on EF and Nikon lenses via their internal motors on RED Cameras, or with RTMotion Lens Motors. Extend the base Latitude kit beyond Canon EF / Nikon electronic lens control. For silky smooth and sharp wireless focus pulling over long ranges. 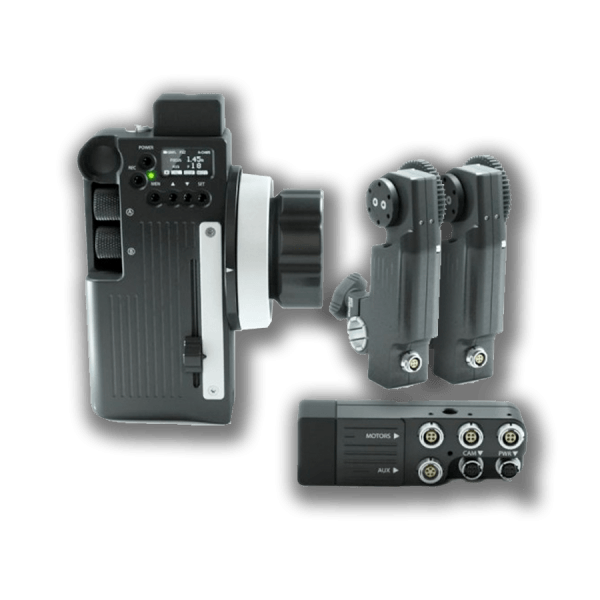 Ideal for demanding gimbal/stedicam production scenarios and advanced aerial drone cinematography. 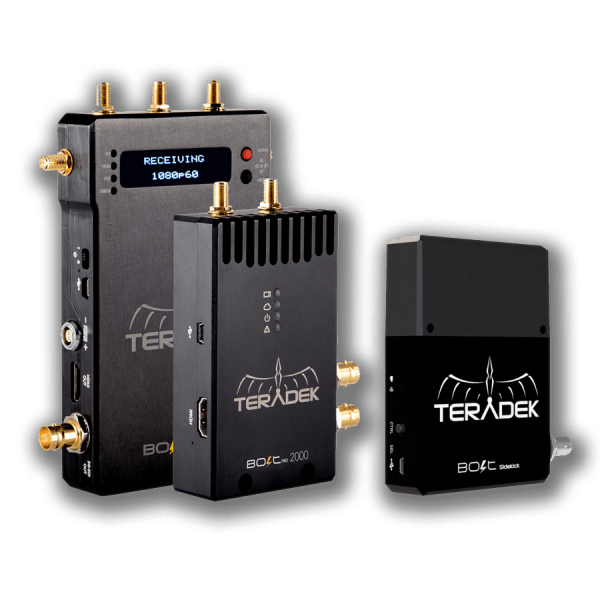 This kit includes two Mk3.1 RT Motion motors allowing wireless F/I, F/Z or I/Z control. 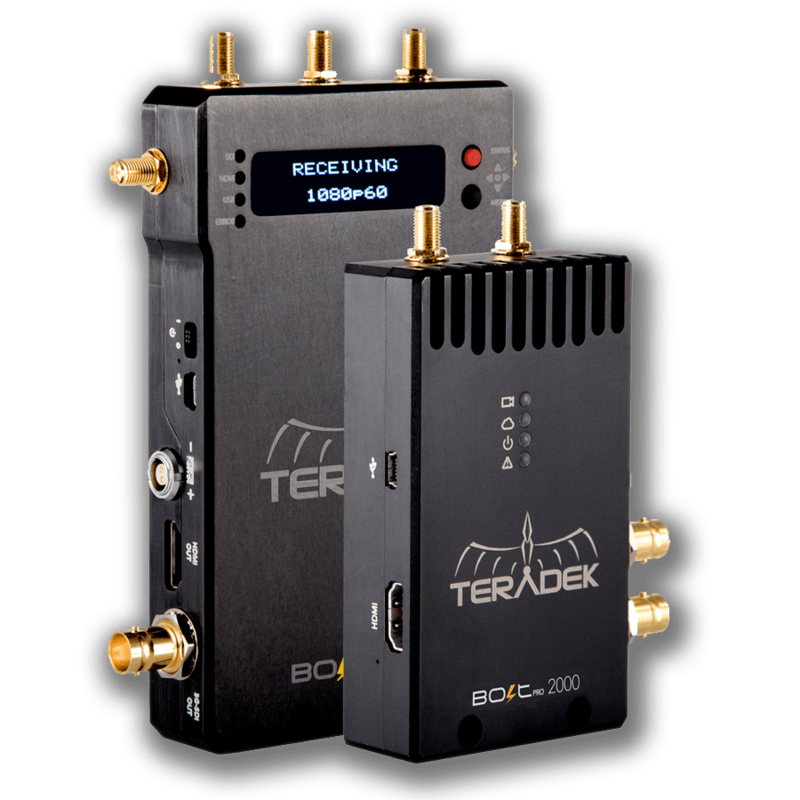 The Teradek Bolt is a zero delay (< 1ms) wireless video system that transmits uncompressed 1080p60, 4:2:2 video up to 2,000ft over the unlicensed 5GHz band. 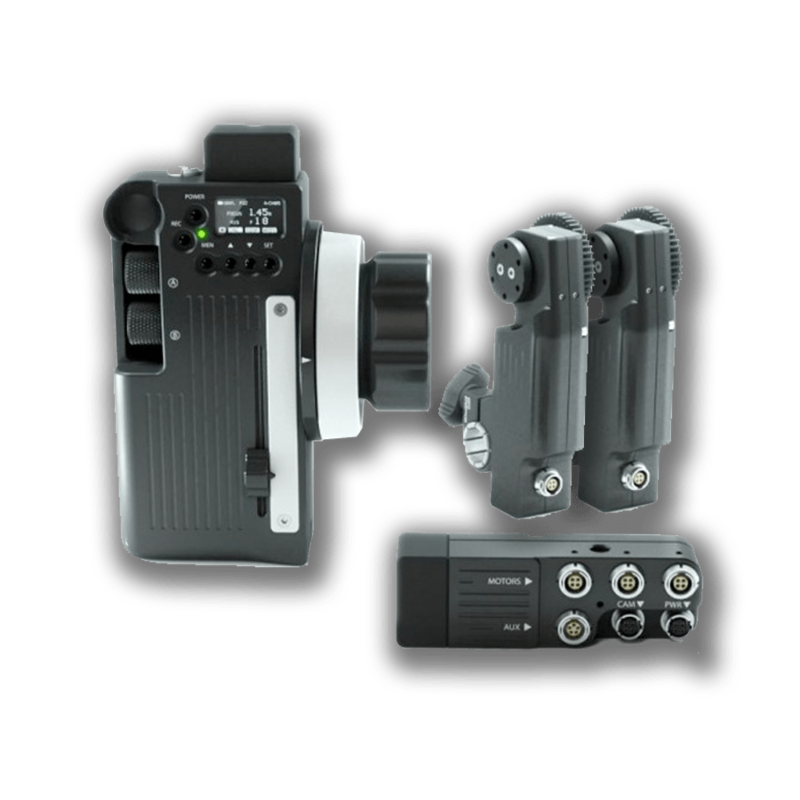 The Bolt 2000 models have external antennas and an OLED screen for settings selection and are multicast capable up to 4 receivers, support timecode and metadata pass through, and include the USB 3.0 GRAB Engine. 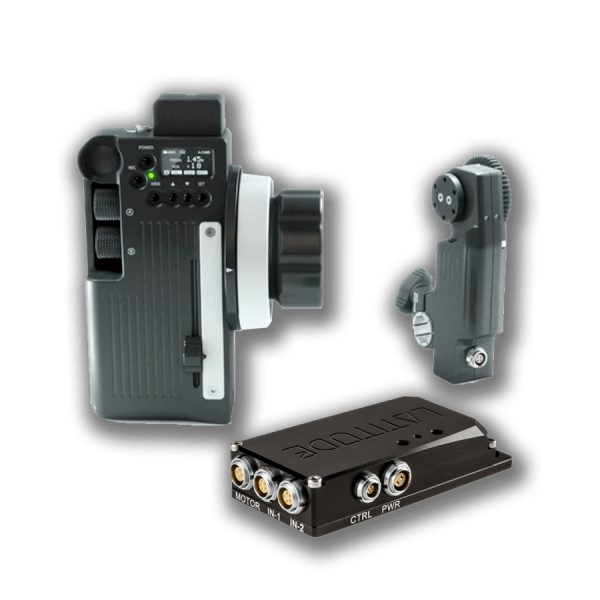 Long range wireless camera monitoring base kit ideal for professional productions, wireless gimbal/stedicam shooting and aerial drone monitoring.